Even if you have the best fillings, veneers, crowns or bridges, tooth decay can still occur at the margins where these restorations and the natural teeth meet. It is therefore essential that you clean the teeth to the highest level and control or cut down the amount of sugar in food and drinks in your diet. Regular visits to see the dental hygienist will help you maintain the best level of oral hygiene and help prevent further tooth decay and gum disease. We recommend that you should see a dental hygienist every 3-6 months, depending upon your particular situation. We all have bacteria in our mouths which forms a sticky thin film called bacterial or dental plaque on the teeth or restorations in the mouth. This is regarded as normal, although if we don’t clean the teeth to the highest standard, then the bacteria in the plaque can cause the gums to become inflamed. This is seen as redness, swelling and a tendency to bleed easily and is called gingivitis. In some patients, this can progress into destructive gum disease whereby the attachment between the gum, the tooth and the underlying bone begins to break down due to this inflammation. This is called periodontal disease or periodontitis and there are a number of forms of this disease. The type of bacteria that are thought to cause gum disease around teeth, are also related to bone loss and failure of dental implants. 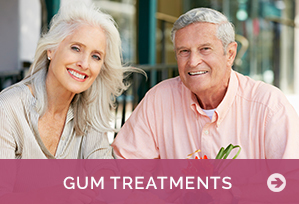 Whatever treatment you are having, then it is extremely important that you clean the teeth and restorations to the highest level and see a dental hygienist on a regular basis (usually 3-6 monthly) to help avoid gum problems and maintain a healthy mouth for the future. Wear and tear occurs over time with both natural teeth and any dental restorations such as fillings, veneers, crowns and bridges. Every effort will have been made to try and minimise the chances of wear and tear occurring by both the dental technician and the dental specialist. Many patients however, have a tendency to clench or grind the teeth which can be related to periods of stress or anxiety or can just seem to occur for no apparent reason. Other patients have habits such as nail biting or pen chewing etc. All these habits can wear and fracture both teeth and restorations. We therefore advise patients to try and avoid these habits if at all possible and to wear an occlusal splint, or night guard to try and protect the teeth and the restorations. Many teeth that we treat have suffered extensive damage in the past either from trauma, decay or large fillings etc which means that the health of the nerve, (or pulp) may be in question. 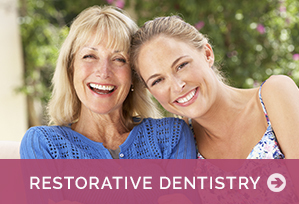 Occasionally a tooth may lose its vitality and the dental pulp die off after a new restoration is placed. This happens in a small percentage of teeth, and when it does occur, then a root filling is required which can successfully save the tooth. This can usually be done by making a small hole through the back of the restoration and allow access to the pulp chamber for the root filling procedure to be carried out. Sometimes the restoration/crown needs to be replaced later. 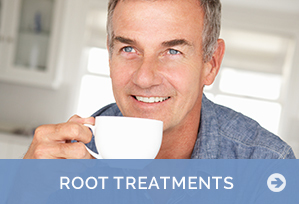 Many dental restorations such as veneers, crowns and bridges are made of a dental porcelain or ceramic. This material does not change colour over time. Natural teeth however, do tend to become darker or more yellow as the years progress and this may be regarded as a natural ageing process. Over a long period, you may notice that there is a significant difference between the colour of porcelain restorations and your natural teeth. Sometimes we are able to carry out tooth whitening to improve the colour of your natural teeth and restore them to what they were previously. Alternatively, porcelain restorations may be replaced to match in with the darker natural teeth. Another factor to consider with porcelain restorations is that the junction where the porcelain and the natural tooth meet may become visible over time. This is because the gums tend to recede as the years progress and hence the margin of the restoration may become noticeable, depending upon the position in the mouth and also how much of the teeth and gum you show when you smile. Where a crown or bridge is made from metal and porcelain the join between this and the tooth may be seen as a dark grey line if the gum recedes. For the above reasons, porcelain restorations will need changing at certain intervals. It is difficult to give you any exact timing for this, but the averages seem to be somewhere between 10 and 15 years, given the correct maintenance regime and regular hygienist visits. 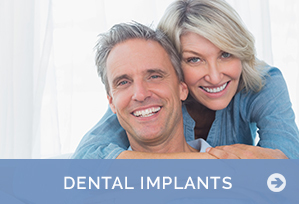 These restorations have many advantages in so far as they are generally minimally invasive and allow us to avoid cutting back the teeth significantly. Composites however, can stain over time and this is related to such things as smoking, tea, coffee, red wine etc. and also individual variations. We would therefore advise moderation with regard to the above factors if you wish the colour to remain stable for the longest period of time. Surface stains can be removed by polishing the composite. 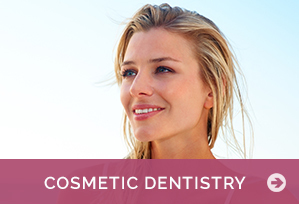 Wear and tear of composite also occurs as it does in natural teeth and it may be that the composite restoration needs some maintenance by trimming back the surface and placing a new surface layer of composite to restore the shape and appearance.